Your QA manager can put you to sleep explaining the difference between these two terms- but you really need to know the difference. Accuracy in measurement describes how closely the measurement from your system matches the actual or true measurement of the thing being measured. It is the difference between the observed average of measurements and the true average. Think of accuracy as the “trustworthiness” of a measurement system. Precision in measurement describes how well a measurement system will return the same measure; that is its Repeatability. As the targets above show, it is important to be both Accurate and Precise if you are to get useable information from your measurement system. But the repeatability has two components- that of the measurement system (gage) itself and that of the operator(s). Differences resulting from different operators using the same measurement device- this is called Reproducibility. In our shops, we cannot tell if our measurement system has repeatability or reproducibility issues without doing a Long Form Gage R&R study. Gage repeatability and reproducibility studies (GR&R) use statistical techniques to identify and discern the sources of variation in our measurement system: is it the gage, or is it the operator? Gage error determined by the GR&R is expressed as a percentage of the tolerance that you are trying to hold. Typically, 10% or less Gage Error is considered acceptable. Over 30% is unacceptable; between 10 and 30% gage error may be acceptable depending on the application. Regardless- any level of gage error is an opportunity for continuous improvement. 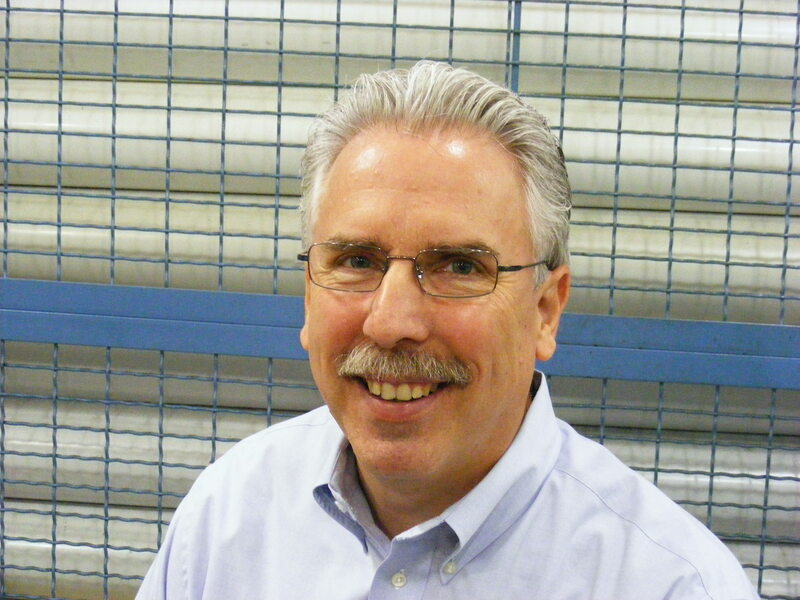 This entry was posted on Tuesday, March 27th, 2012 at 3:17 am and is filed under Engineering, Shop Floor. You can follow any responses to this entry through the RSS 2.0 feed. You can leave a response, or trackback from your own site. This definition has always confused me. It confused me when I first saw it while in the Marine Corps on the firing range back in 1981, and it still does today. I am OK with the accuracy part, but not precision. Accuracy is simply how close “actual” is to “theoretical”. What you accept as “accurate” is purely subjective. Precision is how well defined that answer is, it is relative, either more or less precise. The better you are able to define the answer, the more precise you are. For example, I throw a rock one yard. If I threw it three feet, that would be more precise as it better defines the result. If I say I threw it 36 inches, that is even more precise. Whether the definition comes in finer units of measurement or increased significant digits, doesn’t matter, as long as it better defines the result, it is more precise. This graph actually shows accuracy and variability. The description for precision is defining the method or process of measurement, not the actual result. Repeatability and reproducibility are both important in ensuring we get the right information consistently, but precision has to do with how well we define the result and you certainly can’t define it any better than the accuracy of the process itself. While I like your thought process about 1 yard, 3 feet, and 36 inches, those actually describe increasing resolution. I just printed this out and handed a copy out to all of my employees in my machine shop. I have been struggling for months to try and accurately define these terms, but with little success or precision. Thanks for the help! TPR Devices specializes in the design, manufacture, and supply of precicion measurement devices. Located in El Centro, California USA, TPR Devices was founded solely for the purpose of providing solutions to demanding displacement sensing challenges. Thank you Tom.Our craft depends on understanding this! 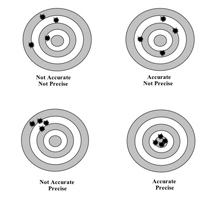 Accuracy means getting a result that is close to the real answer. Precision means getting a similar result every time you try..The accuracy of a measurement system is the degree of closeness of measurements of a quantity to that quantity’s actual value and the precision of a measurement system, also called reproducibility or repeatability. I personally think accuracy is put more into the parts processing. Percision measurement is in QC dept. The latter check if the accuracy is in the tolerance.Now I am working in a high precision machining part manufacturer in China. In our factory, if QC dept say it is not in the tolerance, they will say reproducion or repair. Accuracy is the first important for our business. It’s going to be nice to know this day one in Intro to Machine Tool. I always thought they were synonyms, now I actually know what precision is. For those who may question the need for accurate measuring, I urge you to watch the accompanying video and see the difference a mere .005″ makes when it comes to a well fitting mortise and tenon joint. i did not get the right answer difference yet that if a reading is nearer to actual value then it will be accurate what is it mean and its difference to precsion. think of precision as the repeatability to get the same answer each time. You can get an Accurate measurement by accident once out of a couple times. a precise measurement will be almost the same each time that you take it. precision = Repeatability.